Centerfold Sheeting (C-Fold) – Centerfold Sheeting is tubing that is slit along one side and then wound on a roll. This product is especially effective for companies looking to manually seal their own bags when the product going into these bags can vary in size and shape. 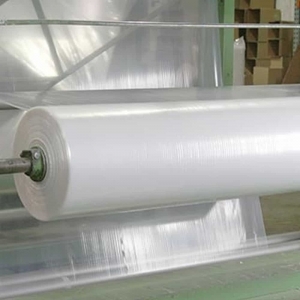 These clear plastic sheets give increased flexibility in the manufacturing process and may be a better option than poly bags.